Secondary prevention trials enroll patients who have already presented with a life-threatening ventricular arrhythmia. 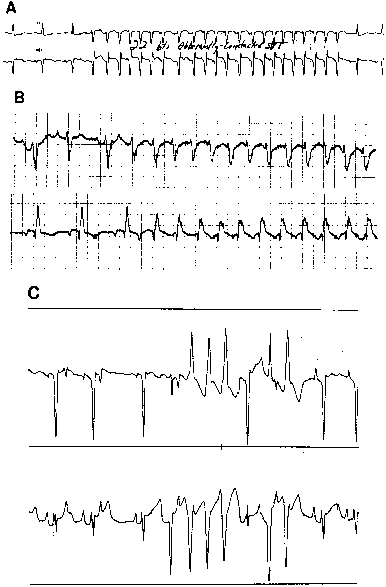 These patients, since they have already "declared" themselves to be prone to such arrhythmias, tend to have a very high risk of recurrent tachyarrhythmias, and therefore a high risk of sudden death. These, of course, are the very patients whom the ICD is most likely to help. They usually fall into Population 2, unless the extent of their underlying heart disease pushes them into Population 3. According to the Axiom, deciding whether to implant a defibrillator should be based not on the results of a randomized trial, but on the clinician's assessment of whether a particular patient is likely to survive for a substantial period of time if sudden death can be prevented. Nonetheless, four large, randomized secondary prevention trials are now in progress. These trials are summarized in Table 1. The first such trial was published in 1995 by Wever et al. (4). These investigators randomized 60 consecutive patients who had survived cardiac arrest to either therapy with the ICD or to "conventional therapy" in accordance with a relatively complex treatment algorithm (typical for the times) that incorporated drugs, catheter ablation, and map-guided surgical ablation. Subjects randomized to conventional therapy could also receive the ICD but only as a last resort. Eventually, almost half of the control patients in this trial received defibrillators. After a mean follow-up of 27 mo, only 14% of the patients randomized to receive the ICD died, compared to 35% of patients treated with the conventional strategy (p = 0.02). These results, although impressive, did not have much impact on clinical practice. For many, the question of whether the ICD prolongs survival when used as secondary prophylaxis was finally answered by the AVID trial (5). AVID was a large, multicenter (NIH)-sponsored study that enrolled 1016 patients who had experienced sustained ventricular tachyarrhythmias. Patients were randomized to receive either the ICD or antiarrhythmic drug therapy (with either amiodarone or sotalol). The primary end point of the study was overall mortality. The results of AVID showed the overall survival among patients randomized to the ICD to be 89.3% at 1 yr, compared to 82.3% in the drug-treated patients. At 2 yr, survival was 81.6% for the defibrillator vs 74.7% for drug therapy; and at 3 yr those values were 75.4% vs 64.1% respectively. The corresponding reductions in mortality with the ICD (with 95% confidence limits) at 1,2, and 5 yr was 39 ± 20%, 27 ± 21%, and 31 ± 21%. It is notable, however, that the average duration of benefit (extension of survival) conferred by the defibrillator in this trial was less than 3 mo. Fig. 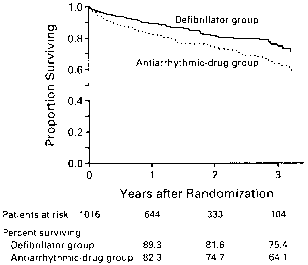 2 shows the actuarial survival of the defibrillator group and the control group in the AVID trial. Although AVID generated significant controversy within the electrophysiology community (6-7), this trial has clearly had a significant impact on clinical practice. With the publication of results from the AVID trial, the ICD became rapidly accepted as the treatment of first choice for survivors of cardiac arrest. CASH, a study conducted in Hamburg, Germany, examined the early use of the ICD in survivors of tachyarrhythmic cardiac arrest (8). In this trial, 346 survivors of cardiac arrest were randomly assigned to one of four treatment arms—amiodarone, metoprolol, propafenone, or the ICD. The propafenone arm of the study, however, was dropped in 1993 because of excess mortality in patients randomized to this drug. The results from the three remaining arms of the study were finally reported at the 1998 Scientific Sessions of the American College of Cardiology (ACC) and then recently published (9). The results were favorable to the ICD. At a mean follow-up of 57 ± 34 mo, the overall mortality reported for patients randomized to the ICD was 36.4%, compared to 44.4% for patients who were medically managed with either amiodarone or metoprolol (p = 0.081). There was also a significant reduction in sudden death with the ICD (13.0% vs 33.0%, p <0.005). CIDS was another randomized, multicenter clinical trial designed to test whether the ICD prolongs overall survival when used as secondary prophylaxis (10). More than 600 patients presenting with sustained ventricular tachyarrhythmias were randomized to receive either the ICD or amiodarone. 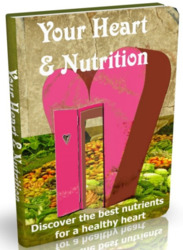 The results of this trial were presented at the 1998 Scientific Sessions of the ACC, and recently published (11). The results of CIDS failed to reach statistical significance, but were still consistent with the other secondary prophylaxis trials. After 3 yr of follow-up, patients who were randomized to receive the ICD had a 25% overall mortality, compared to a 30% overall mortality in patients randomized to amiodarone (p = 0.072). The patients in the defibrillator group had a 19.6% reduction in their relative risk of overall mortality. These secondary prevention trials, once again, were meant to test the ability of the ICD, as compared to more conventional therapy, to prolong the overall survival of a population of patients presenting with life-threatening ventricular tachyarrhythmias. As we have seen in our prior discussion, however, the ability of the ICD to prolong survival is a given—whether it actually does so or not depends on how we use it. According to the Axiom, the issue in conducting an indiscriminate clinical trial with the defibrillator (i.e., one that allows enrollment of essentially all comers) is whether enough patients from Population 2 will be enrolled to counterbalance the effect of patients enrolled from Population 3. Indeed, there is anecdotal evidence suggesting that patients who could easily be identified as belonging to Population 2 often were systematically withheld from these studies, because their doctors strongly believed they should receive a defibrillator. If so, these studies would have enrolled a disproportionate share of Population 3 patients. This is a particularly intriguing possibility, given the finding in the AVID trial that the average prolongation of survival conferred by the ICD although statistically significant, was of short duration. (Fig. 2 demonstrates the significant but relatively small difference in survival curves between the two treatment groups in AVID.) This is exactly what the Axiom predicts will happen with Population 3 patients. In each of these trials except CIDS, a statistical benefit was observed with the defibrillator. The medical community has chosen to interpret these results at face value. "For the first time," wrote National Heart, Lung, and Blood Institute Director Lenfant, the ICD has been proven to "improve overall survival in patients with serious ventricular arrhythmias" (12). Others are less sanguine, thanking our lucky stars that we dodged a bullet. In any case, evidence from randomized clinical trials now firmly supports the use of the ICD as therapy of first choice in survivors of symptomatic, sustained ventricular tachyarrhyth-mias. Although perhaps for the wrong reasons, at least this area of controversy over indications for the ICD seems to have been resolved. Ironically, several years after the AVID study was published, two articles in the New England Journal of Medicine supported the importance and veracity of carefully conducted observational studies as an alternative to randomized controlled clinical trials (12a). Patients who already have had sustained ventricular tachyarrhythmias have a high risk of recurrence, and it is to be expected that in this high-risk population, the ICD should measurably prolong overall survival. The issue is much less obvious, however, when one is dealing with patients whose risk of sudden arrhythmic death, although substantially higher than normal, is still only relatively high. Such patients would include those whose underlying cardiac disease places them at risk for ventricular arrhythmias, but in whom those arrhythmias have never actually manifested. The risk of sudden death in such patients has been relatively difficult to quantify, and as a result, the potential benefit of an ICD has been much more difficult to predict. Thus, at least conceptually, randomized trials using the ICD in such patients— primary prophylaxis trials—are usually much less controversial than the trials we have just considered. Three such primary prevention trials have now been reported, and two additional trials are ongoing (see Table 2). In MADIT (13-14), patients who had a prior MI, a left ventricular ejection fraction (LVEF) of less than 0.35, and a documented episode of nonsustained ventricular tachycardia (NSVT) were eligible for screening by means of electrophysiologic testing. Those who had inducible ventricular tachycardia (VT) during baseline testing, and in whom the inducible tachycardia was not suppressed with iv procainamide in subsequent testing, were then eligible for randomization. Overall, 196 patients were randomized to receive either the ICD vs whatever drug therapy the physician considered appropriate. Approximately 80% of the patients randomized to drug therapy received amiodarone.